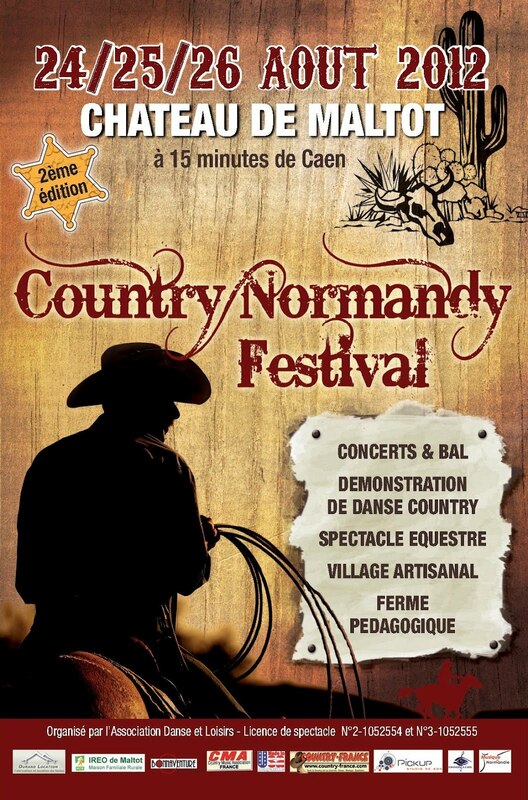 Thanks to the Country France Newsletter for the news that the 2nd Country Normandy Festival (24-6 August 2012) at Maltot, Basse Normandie (12 km from Caen), will include a contest for younger bands from that region and the adjoining départements. It is open to groups from every genre of country music (including bluegrass) and is aimed at encouraging and promoting those who produce original material on the French country music scene. Winners of the first and second prizes will receive a professionally mixed and mastered recording of their material as a promotional tool in developing their careers. Full details can be found on the Festival website. Bands who are interested are advised to apply quickly!